To provide the best natural health care detoxifying and cleansing services in a dignified and private environment to assist you with living a longer, healthier, more vital life. 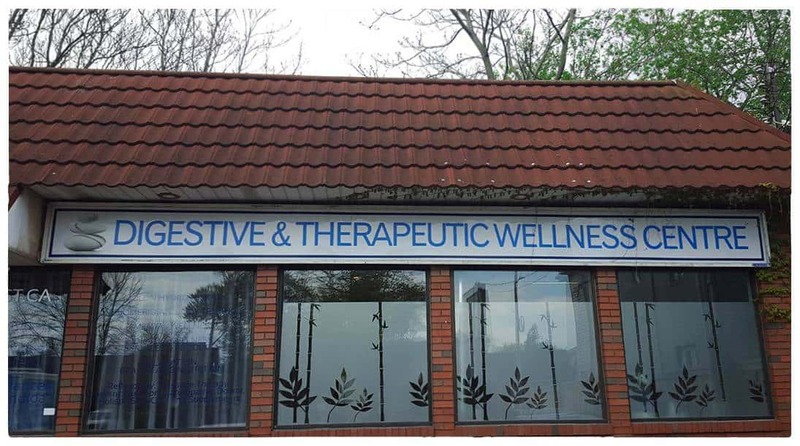 Located in Downtown Hamilton, Ontario, The Digestive & Therapeutic Wellness Centre is Southern Ontario’s premiere wellness facility, offering a truly unique selection of assessments, treatments, services and products aimed at helping our clients reach their wellness and beauty goals while building confidence and learning how to a happier, healthier life. Our individualized approach to wellness and beauty delivers optimum results in the shortest amount of time. Our therapists work closely with clients to identify areas where improvement is needed before developing a customized treatment plan to address immediate issues, and continue to work toward improving overall wellness. We work hard to not only improve our clients quality of life, but also empower them so that they may take an active role in caring for their mind, body and spirit, now and forever. Whether it’s your first visit or your tenth, our friendly, knowledgeable and professional staff are sure to help you feel right at home regardless of the reason for your visit. Wellness clients are sure to enjoy our modern, fresh facilities including bright, clean treatment rooms, world-class equipment. Our all-new Beauty Boutique provides clients with first-class beauty treatments applied by our very own Beauty Team, using all-natural products from Holistica brand—a world leader in natural skin care. To learn more about these wellness solutions or to book an appointment, go to our contact page call 905 540 1405. Subscribe to receive Wellness & Beauty tips, product information and exclusive promotions!